Although acupuncture and Chinese herbal medicine have only recently begun to be recognized by the mainstream medical community as viable treatments for a variety of ailments, they have actually been practiced with great success for more than 5,000 years. At the Center for Acupuncture and Herbal Medicine, we utilize the knowledge that countless practitioners have refined and passed down through the centuries to help alleviate your symptoms, eliminate their cause, and restore your body’s natural balance. Based on our experience, acupuncture and herbal medicine can help you stop smoking, increase fertility, relieve pain, anxiety, and depression, and restore the natural balance of your body to help you maintain physical and emotional health. 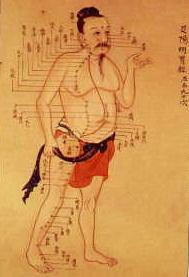 Acupuncture and herbal medicine form the foundation of Chinese medicine, which is based on the notion of balance. To the practitioner, health is defined as the balance of yin and yang and the smooth flow of Qi (life force) and blood throughout the body. When yin and yang are out of balance, the organ systems begin to malfunction and sickness results. Imbalance can result from many factors, including mental and emotional stress, improper diet, environmental factors, physical trauma, genetic predispositions, etc. Our number one priority is helping your body regain its balance. The first step is to conduct a thorough evaluation and determine the root of the imbalance. Each patient is evaluated using four primary tools: observation, listening and smelling, questioning, and palpation. 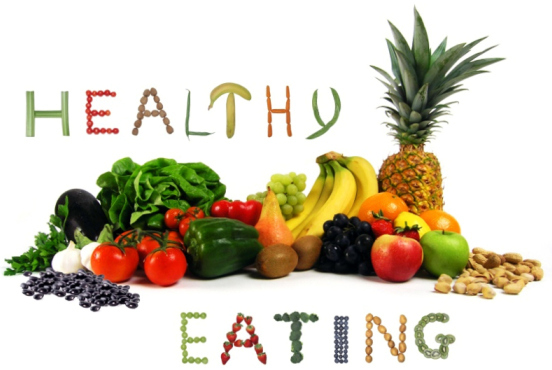 The information gathered with these tools is used to formulate an overall health picture. Examination of the tongue and monitoring of the pulse play a crucial role in diagnosis. The tongue is the mirror of the body, offering clues about the general state of harmony or disharmony in the body based on its color, moisture, size, coating and any abnormalities present. 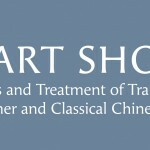 Practitioners at the Center for Acupuncture and Herbal Medicine have advanced training in Contemporary Chinese Pulse Diagnosis , Contemporary Oriental Medicine® and Classical Chinese Medicine and can distinguish dozens of different pulse qualities and combinations, each of which helps to identify the root causes of various ailments. Once that root cause has been uncovered and a pattern established, a personalized treatment plan is designed using acupuncture and/or herbal therapies. Acupuncture uses the insertion of fine needles into specific acupuncture points on the body’s surface in order to regulate the flow of qi. By stimulating these points, energy can be directed to or away from a deficient or excessive organ, stagnant energy can be released, and yin and yang can be rebalanced. By reestablishing the proper balance of yin and yang and the smooth flow of qi and blood, pain and other symptoms and disorders will disappear as the body regains the ability to heal itself. 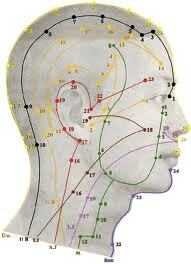 Western medicine now recognizes that numerous conditions can be improved or eliminated through acupuncture. Both the World Health Organization and the National Institutes of Health have endorsed the use of acupuncture for musculo-skeletal, digestive, nervous system, cardiovascular, respiratory, gynecological, urological, endocrine and metabolic disorders. Clinically, acupuncture increases oxygen and blood flow; stimulates the endocrine and nervous systems; aids cellular repair; and alleviates pain by blocking pain receptors and stimulating the secretion of the body’s natural pain killers – endorphins and enkephalins. 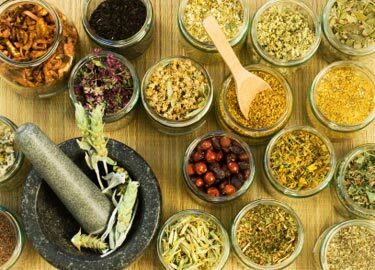 Chinese herbal medicine can be used in conjunction with acupuncture or on its own. These natural herbs are remarkable in their ability to promote healing. Unlike western medications – which tend to mask symptoms rather than heal – Chinese herbs address both acute symptoms and the patient’s underlying state of health. Because each formula is tailored to individual needs, they are free from unwanted side effects. balance of the five flavors (sweet, pungent, bitter, sour, salty) and the proper use of both hot and cold foods. Each food a person consumes has a unique nature which determines how it will affect a person’s internal environment. For example, sugary foods cause “dampness” or an accumulation of mucus along the digestive tract; cold foods or liquids cause constriction of the stomach muscles and slow circulation along the digestive tract, etc. lified practitioner will be to tailor a specific dietary plan and herbal formula to address the patients’ underlying imbalances and weaknesses. Acupuncture should be used in conjunction with dietary therapy for maximum results. 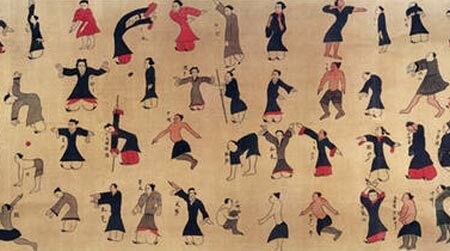 QiGong is an ancient Chinese health care system that integrates physical postures, breathing techniques and focused intention. QiGong provides a variety of core physical, mental and emotional benefits to improve health and well-being. The gentle movements stretch and strengthen muscles, improve balance and flexibility, and reduce inflammation in joints. These movements helps to improve the circulation of blood and oxygen throughout the body, which is thought to improve the immune system and to help remove toxins. 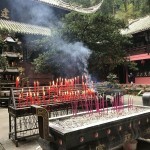 QiGong’s breathing techniques emphasize deep slow breathing; helping to calm and center and can be an effective aid for reducing anxiety and aiding sleep. The meditative state of mind achieved by practicing QiGong provides powerful mental and emotional benefits, often after only a few minutes of practice. Qi Gong requires concentration, requiring focus and clear thinking. This discipline is reported to help increase creativity, improve mood, and to enhance cognitive capability. Moxibustion is a type of Chinese heat therapy in which dried mugwort leaves or “moxa” are burned on or over pressure points on the skin to strengthen the immune response and restore the flow of energy in the body. The burning of moxa over the skin will expel cold, warming and invigorating the flow of Qi throughout the body. The purpose of moxibustion is to strengthen the blood, stimulate the flow of energy, and maintain general health and wellness. It is not uncommon for patients receiving moxibustion to report a sudden warming sensation radiating along a specific path away from the site of application. This is good as it indicates that the flow of Qi (life force or energy) and blood has been freed in the channel. Acupuncture and moxibustion are often used in the same treatment session when appropriate to the diagnosis and treatment strategy as it is believed that the therapies increase each other’s effectiveness when used together. 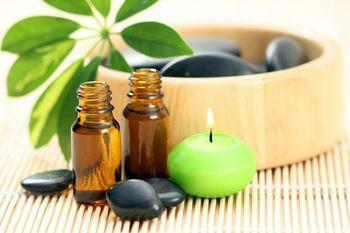 Tui Na is a therapeutic form of massage that has been used in China for thousands of years. This therapy uses compression techniques along different energy channels of the body to establish a harmonious balance of Qi, or energy, throughout the body. 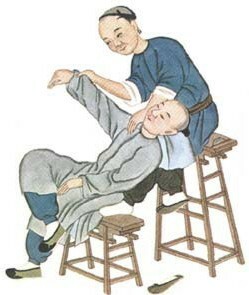 Tui Na is a combination of massage, acupressure and other forms of body manipulation which works by applying pressure to acupuncture points, meridians and groups of muscles to remove blockages that prevent and slow the flow of Qi. Many of the techniques used in this massage resemble that of a western massage like gliding, kneading, vibration, tapping, friction, pulling, rolling, pressing and shaking. However, Tui Na does not work only on the muscles, bones, and joints, but works with the energy of the body at a deeper level. As the practitioner works with the client’s body, he or she is able to assess the distribution of energy and affect its flow, facilitating the healing process. As with other styles of Asian bodywork, Tui Na is designed not just to correct problems, but to prevent them by maintaining the balance of energy in the body. This is true not just for physical health, but for mental and emotional well-being as well. Gua sha is a centuries-old Chinese healing practice of applying pressure and friction to the surface of the skin, usually with a smooth-edged spoon (or other therapeutic tool) to release toxins held in muscular tissue, invigorate blood and lymph circulation in specific areas of the body, and to relieve chronic muscle tension. In a modern medical construct these toxins contain metabolic waste that congests the surface tissues and muscles. Gua sha is often used for treating chronic migraines and headaches, neck/shoulder/back tension and pain, colds/flu, and more. In most cases the patient feels an immediate shift in their condition particularly in their pain or sense of constraint. Gua Sha promotes circulation and normalizes metabolic processes. It is a valuable treatment for both external and internal pain, and facilitates the resolution of both acute and chronic disorders. 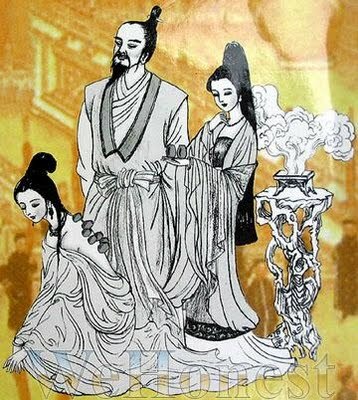 Cupping therapy is an ancient healing technique in which small cups made from glass, bamboo, earthenware, or silicone, are placed on the skin to create suction. The suction of the cups on the surface of the skin mobilizes blood flow to promote the healing of a broad range of medical ailments. There are several types of cupping therapy, including dry cupping, wet cupping, and fire cupping. A cup is placed upside down on the patient’s skin, causing it to be gently pulled upward and the blood vessels to expand. The vacuum helps dispel any stagnation in the blood in the area, and it is used to improve flow of Qi, easing respiratory diseases and chronic muscular pain. The cup is generally left in place for 5 – 10 minutes and can also be moved to other areas needing relief during the treatment. Cupping therapy can reduce pain and inflammation throughout the body, while also promoting mental and physical relaxation and wellbeing. Mild to moderate skin markings and discoloration may appear after treatment, depending on individual’s circulation, blood stagnation and toxic load. Bruising may last up to 1-2 weeks.